Kaminka-Strumylova Gospel. 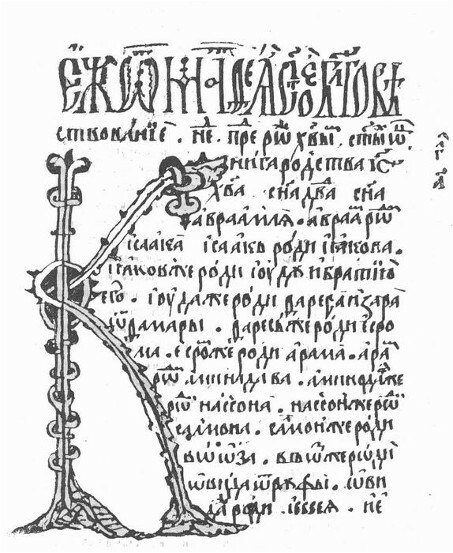 A manuscript gospel transcribed from a south-Slavic source in 1411 in Kaminka-Strumylova (now Kamianka-Buzka), a town on the Buh River in the Principality of Galicia-Volhynia. It is preserved in the National Library of Ukraine in Kyiv. Its language contains some traces of Volhynian dialects. The work was described by G. Kryzhanovsky in Rukopisnye evangeliia v kievskikh knigokhranilishchakh (Manuscript Gospels in Kyivan Libraries, 1889), and its language was analyzed by him in an article published in Volynskie eparkhial’nye vedomosti, 1886, nos 17–18.